Sony might have an ace up its sleeve in the fight against Microsoft’s successful new Xbox Game Pass program. The strategy? Sony might offer downloadable titles via its PlayStation Now game-streaming service. 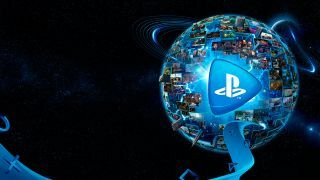 It’s all just a rumor from an insider source at the moment, but a new report says that offline downloads for some PlayStation Now games could start as early as September of this year. According to a source speaking with Kotaku UK, it will start exclusively with PS4 titles which means older PS3 games likely won’t be available to play offline right out of the gate. Offline games will continue to work as long as you have an active PlayStation Now account and they’ll be playable using your account on your PS4 and any account that also lives on that PS4 as well. Sony has yet to confirm the information in Kotaku's report, but the move would make a lot of sense considering the success of the Xbox Game Pass. Either way, we’ll find out more in September.